Posted by judylobo in Animal Video, Baby Animals, Central Park Zoo, photography. The Central Park Zoo had a banner baby year. 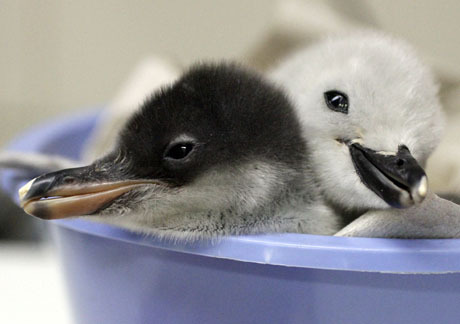 Along with over 100 ducklings (including the sensational Chinese Mergansers) eight penguin chicks were hatched (four gentoo and four chinstrap) and hand raised by the Zoo’s dedicated staff. I was lucky to be able to watch them grow and thrive. Now you can see what the fuss was all about on the Central Park Zoo website. Follow our now grown chicks and see how it all began.